Editor’s note: Ying Zhu is professor and chair of the Media Culture Department at City University of New York-College of Staten Island and author of ‘Two Billion Eyes: The Story of Chinese Central Television.’ The views expressed are the writer’s own. It’s been almost a year since the U.S. outpost of China Central Television (CCTV) launched under much scrutiny. So far, though, it hasn’t made much of a splash. Most Americans have never heard of CCTV, and those that have probably assume that it is the mouthpiece of the Chinese Communist Party. And, in a sense, they are on to something. 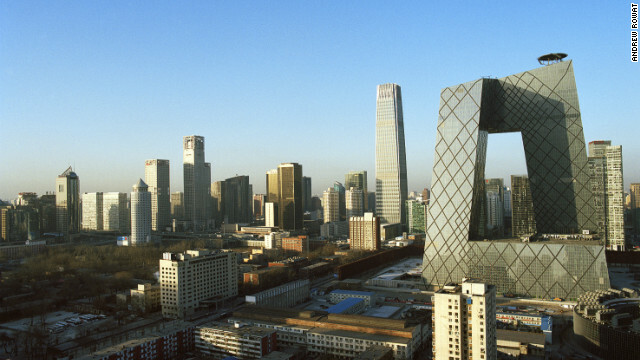 Founded in 1978 and funded initially by the Chinese government, CCTV is very much state-owned and controlled. It is supposed to be like public TV – think PBS or Britain’s BBC – because of its public service mandate. But it is also financially self-reliant like commercial networks such as CNN or NBC. And, just as U.S. cable networks compete fiercely for ratings and revenues, if a CCTV show fails to attract viewers, it gets cut. But the commercial underpinnings of CCTV shouldn’t disguise the fact that CCTV is ideologically driven, and its U.S. arm is the latest effort by the Chinese government to try to project the country’s soft power. As a result, for CCTV-America, ratings and revenues are secondary to a higher calling: polishing the image of China. Last December, CCTV took out a one-page ad in the New York Times, pronouncing, “The world has changed China. And China is now changing the world.” And while it is unclear how much cash CCTV-America has at its disposal, its reportedly competitive salaries have persuaded a number of high-profile Western journalists to join it. So why has the channel struggled to make a breakthrough here? For a start, there appear to be limits on controversial news that deviates from the Communist Party script, meaning it can get left behind when Western outlets are covering major news that could embarrass China’s leaders. For example, when The New York Times published a story about the staggering wealth that had allegedly been accumulated by the family of outgoing Premier Wen Jiabao, CCTV-America was silent on the issue. And when Bloomberg ran a report about the multi-million dollar assets allegedly held by the extended family of incoming President Xi Jinping, CCTV-America remained tight-lipped. Perhaps in part to avoid such sensitive political issues, reporting by CCTV-America is skewed towards economic and financial news. True, it doesn’t shy away from big political news around the world – except, of course, when that news is taking place in China. When it does cover big political stories in China, it provides no enticing revelations beyond the Communist Party line, meaning the channel missed out on some decidedly juicy ratings fodder last year, as controversy swirled around corruption and behind-the-scenes power struggles. And at a time when foreign correspondents say they are finding it increasingly difficult to secure visas to report from China, Beijing is missing an opportunity to help the rest of the world understand it. This reality encapsulates the difficulty that CCTV-America finds itself in – how can it build international credibility while ignoring major stories about China that are being talked about by mainstream U.S. media? CCTV-International was established a decade ago to emulate CNN’s 24-hour open platform of news production, and Chinese officials no doubt hoped that the expansion of CCTV-International would see the channel become something akin to an Asian version of Al Jazeera, bringing alternative voices to an international audience. But while CCTV can be accessed on cable and satellite around the globe, CCTV-America is falling short of its hopes of providing compelling alternative narratives about China. CCTV might have aspirations to playing in the same pond as the likes of CNN and the BBC. But unless officials loosen their editorial grip, CCTV will remain gasping for air – and grasping for an attractive identity – in an increasingly competitive international market. Next entry »Can Turkey seize the ‘Kurdish card’ for itself? I would much rather watch KZMA (Kwok Zucking Mouth of America) instead. The cat is out of the bag. We all know that CCTV takes its orders from the head of China's propaganda office, so no one expects to hear anything true about China. CCTV's orders are to skew the news so that China always appears in a positive light, despite how bad the news is. What was CCTV not reporting on all the scandals by high ranking communist party chiefs? What does CCTV not talk about the Tibetan issue and show any sympathy to their cause? Why doesn't CCTV do an expose on all the cyberespionage that is going on by members of the PLA in China? You see, there is NO WAY any American would spend any time reading their communist propaganda garbage. A good journalist has to be professional and ready to handle challenges he faces in investigative journalism. He is ill-advised to be biased and be a propaganda worker. Only by believing in what he's doing and having the courage to disclose scandals would he win over hearts and minds of the public. Wow, this sounds like someone is venting his personal spite. Like CNN is unbiased?! You the author are a great fool! Ps. I read CNN as entertainment, other channels like Global, CBC, CCTV, phoenix tv (Hong Kong), ETTV (Taiwan) for real news. CNN's always race baiting. or putting on a negative spin on countries who aren't the US, among many other forms of propaganda. I actually watch CCTV chinese channel everyday. There are so few reporting about China from the US media. CCTV fills the gap. CCTV reporting is very neutral and mostly focuses news in China. It lacks the drama style of CNN. This is exactly what I like. There is quite a bit of prejudice in American reporting when it comes to China. Many of the so called "news" are so bias and one-sided, they are not much different from a propaganda. I wonder wherther this guy is paid to say bad thing about CCTV. If you don't care news about China, there is no point to watch CCTV. Thank you, comrade. You've earned your 50 yuan for the day. I'm not supportive of media restrictions, but c'mon... how often do we hear ourselves complain about sensationalistic news and intense polarization of politics here in the US. It's their fricken country and if they want to address things this way its up to them. Sure there are complainers, rightfully so. But most polls show people are happier. Look at our country, we have livid complainers too. One thing is for sure, there are not many chinese journalists here trying to dig up dirt as there are foreign journalists in their country trying to do that. Heck, they even had journalists come to honor our last Space Shuttle launch and were DENIED permission to do so. I'm sure that helps open journalism *sarcasm*. I actually watch a lot of CCTV's English Channel, you don't have that many choice if you are in China and don't speak Chinese. I think the shows they produce from The US is much better quality and more liberal than the rest of the channel. I was pleasantly surprised when I first saw a show called "Biz America" a few months ago, thought it was solid and balanced. The channel as a whole do tend to say good things about China though. When your business rivals take the trouble to bad-mouth you, you have arrived. Even among American news media, each has its own areas of interest, biases and image. Well. I have stopped watching CNN for the past 2 years. Mostly watching CCTV now. Slow and steady CCTV. Of course, there is always bias in any media. But the good news, you have more options to see different perspectives rather the China bashing so pervasive in Fox, BBC etc. Frankly, I have found CCTV to be more neutral on most issues. Of course, they are more China friendly when reporting on Chinese issues. Yet the reporters do confront problems such as corruption, pollution and other social ills with suggestion. Go ahead bad mouth CCTV. They can do only better starting from nothing. Another 50 yuan for this loyal Party member. Like Xinhua, Peoples Daily, Global Times, and China Daily, CCTV is another mouthpiece of the Chinese Communist Party. They will never run stories critical of the CCP or China's leaders or China's policies on Tibet, Taiwan, Xinjiang, Falun Gong, or Chinese democracy. People in China watch CCTV b/c they have no alternative TV news source. The only people who watch CCTV outside China are Party cadres, 50 Yuan Party people, and those of use who monitor Chinese propaganda. CNN isn't watching this comment thread or they would have seen that pro-CCTV remarks are being planted in a desperate attempt to gain credibility. The article is right in assuming that CCTV is never going to be effective outside China in areas where it competes with proper journalism. Sadly, budgets for investigative journalism are being slashed across the board. I wonder to what extent the party believes that CCTV will really turn minds outside China, and to what extent the folks in Central Propaganda are just trying to do their jobs and collect their paychecks. In some ways Western media are scarier because the fact that we have freedom of the press by law lulls us into thinking that our press is using that freedom in fact. For most of us Yanks, CCTV is labeled "propaganda" right there on the box. American media are a bit more confusingly packaged.